It really is time to get excited! 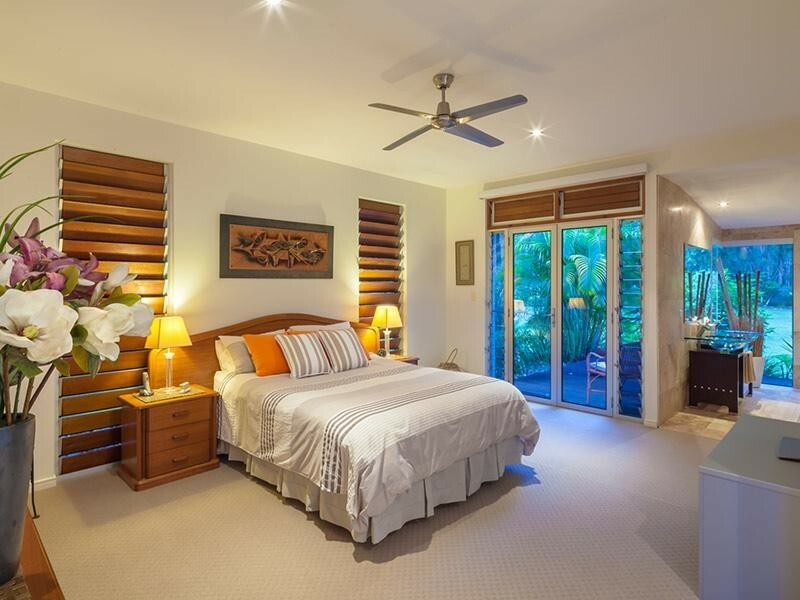 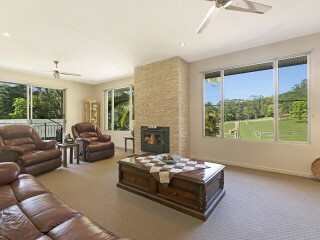 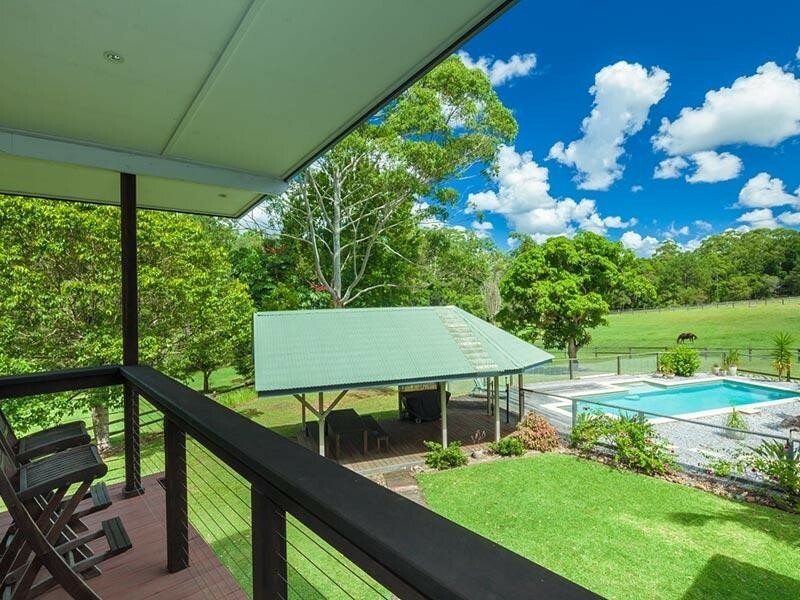 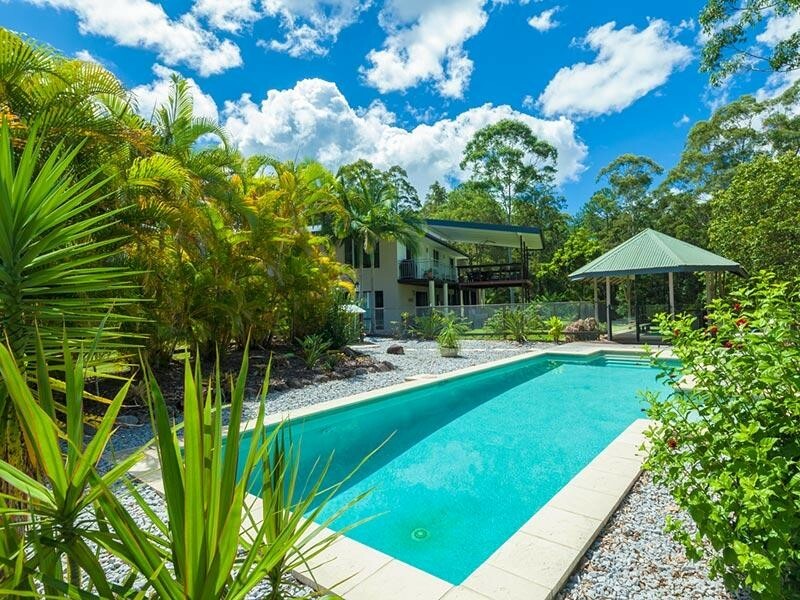 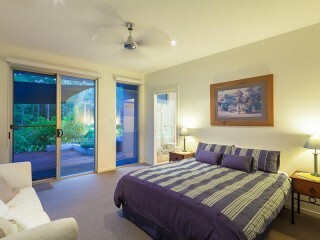 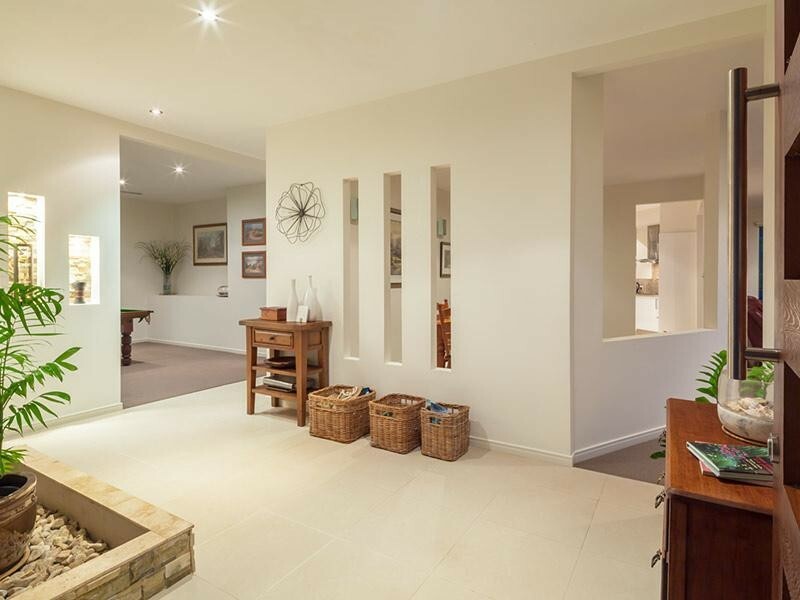 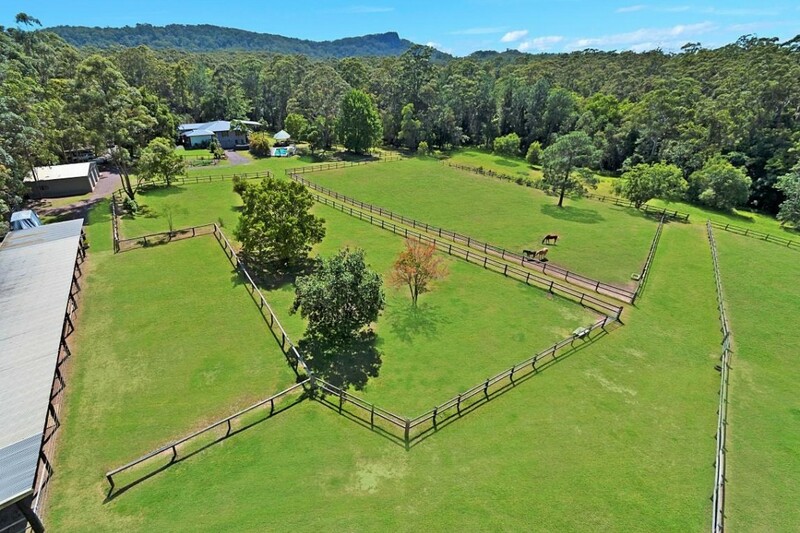 This is easily the finest prepared horse and home package we have seen so close to Noosa. 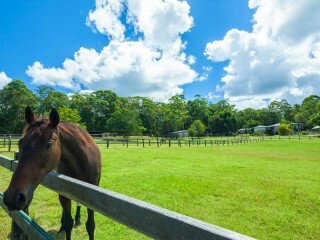 Starting with a useable and working 10 acre horse facility, complete with 35m stable and tack/feed complex, multiple fenced and watered paddocks with connecting laneways, dual access for floats and goosenecks, a wash-down bay, lunging pen and prepared arena site and only a short ride to access the extensive Noosa Horse Trail network. 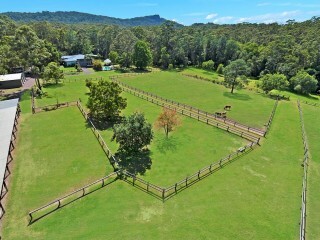 All on a small creek, you could be forgiven for thinking this acreage is just another great hinterland horse property. 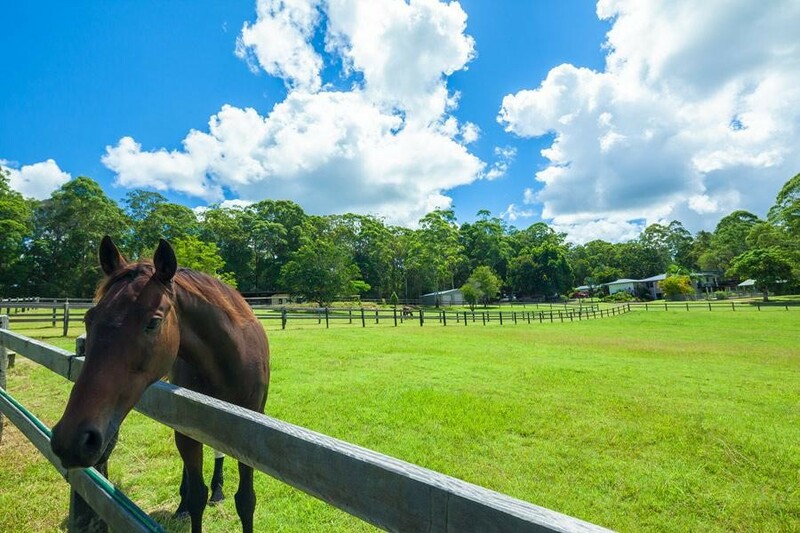 If you are not a horse enthusiast and your ideas are focussed on enjoying the peaceful hinterland lifestyle on a private parklike acreage you will be astounded by the 664m2 (ext.) 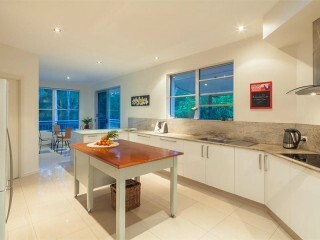 luxury rendered, dual living contemporary styled home which enables so many enviable living options. 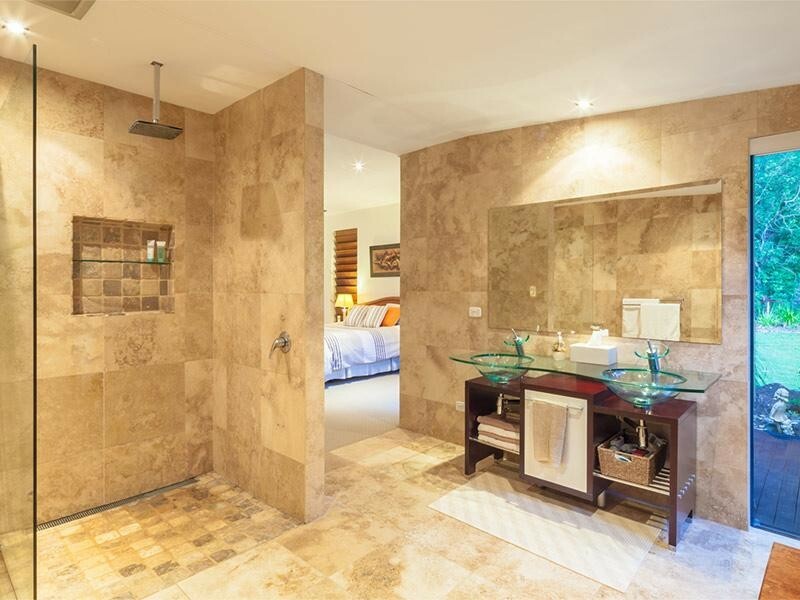 | Plus three more large bedrooms each have an ensuite and large walk-in robe plus a separate powder room near the living areas on the upper level. 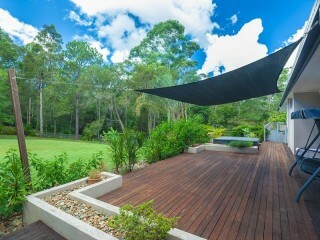 | It has its own large covered alfresco deck with a large landscaped vegetable garden close by. 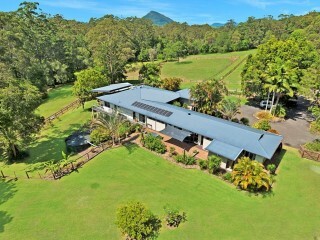 This abundant home has many features that demonstrate it was built for a purpose and not for a price. 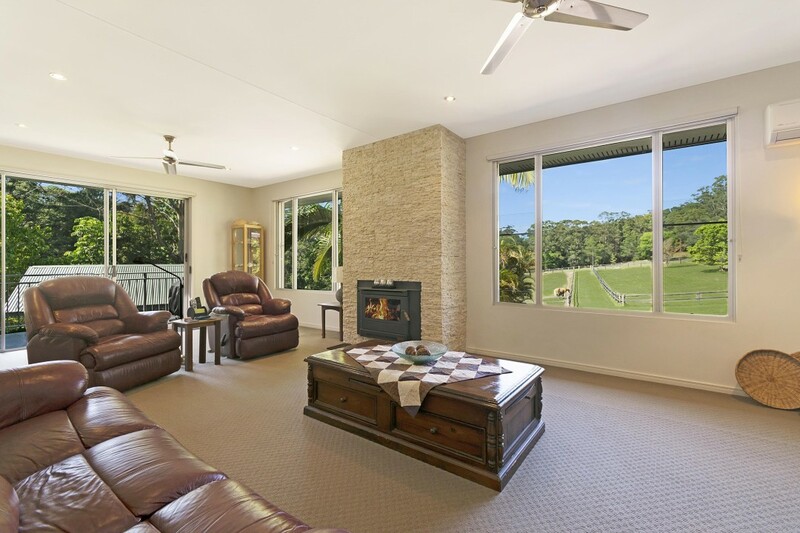 Extensive glazing in the lounge room draws your eye immediately to the vibrant green acreage, divided only by a full sandstone faced feature wall and built-in fireplace – watching over the horses and acreage is so easy from here. High end finishes are evident throughout the home, high ceilings, exquisite travertine tiles and natural earthy tones are utilized in all of the ensuites. 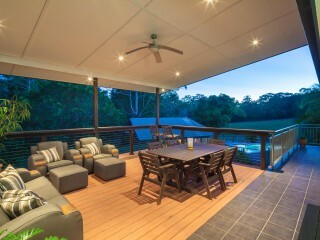 The opulent internals are complemented with a multitude of outdoor living scenes with verandas and decks to approx. 75% of the home. Offering a wide sundeck out from the bedrooms, a very private fenced courtyard and of course the pool house/gazebo your family has some great outdoor alternatives along with the large alfresco entertaining area. 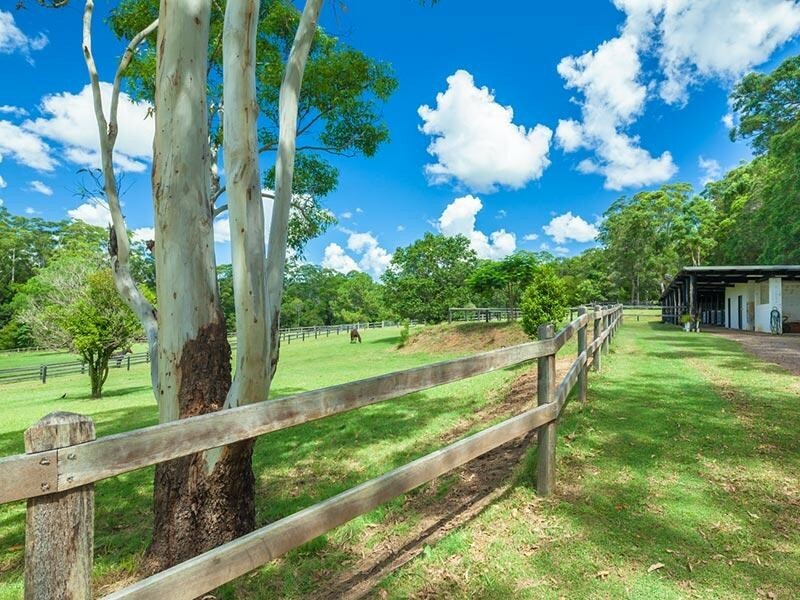 Driving past this property you will be none the wiser to what lays behind the natural bushland buffer from the no through road. 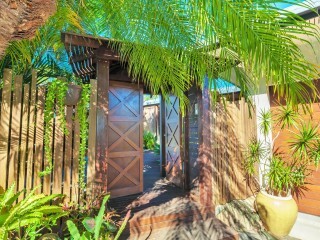 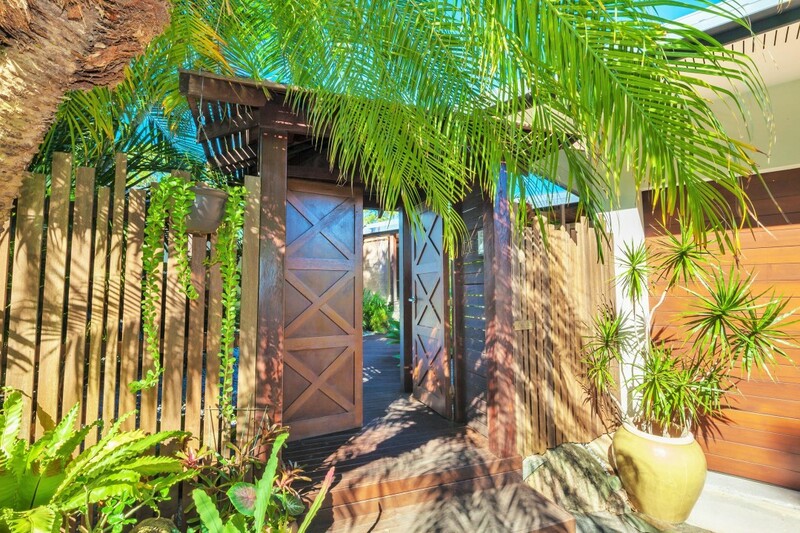 Incredible privacy is ensured and created by plant screenings and internal fences. 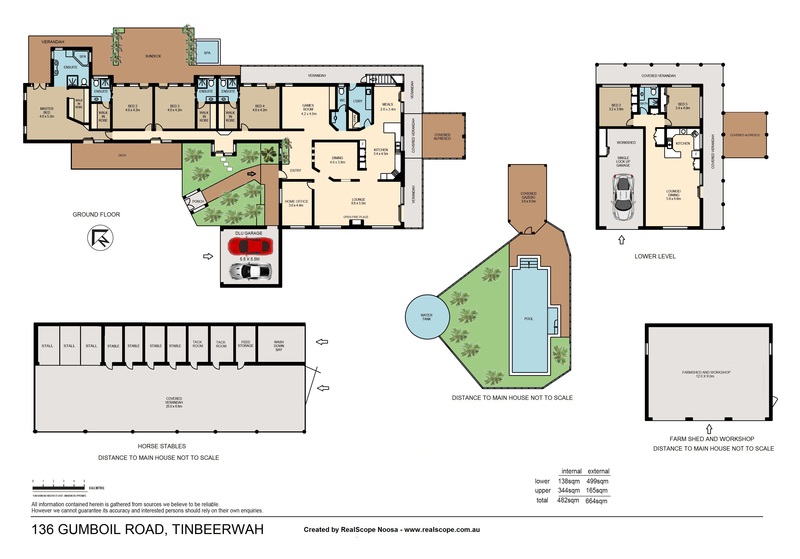 The 1st entry point sports bitumen off street parking and circular driveway access to the arrival enclave and courtyard. 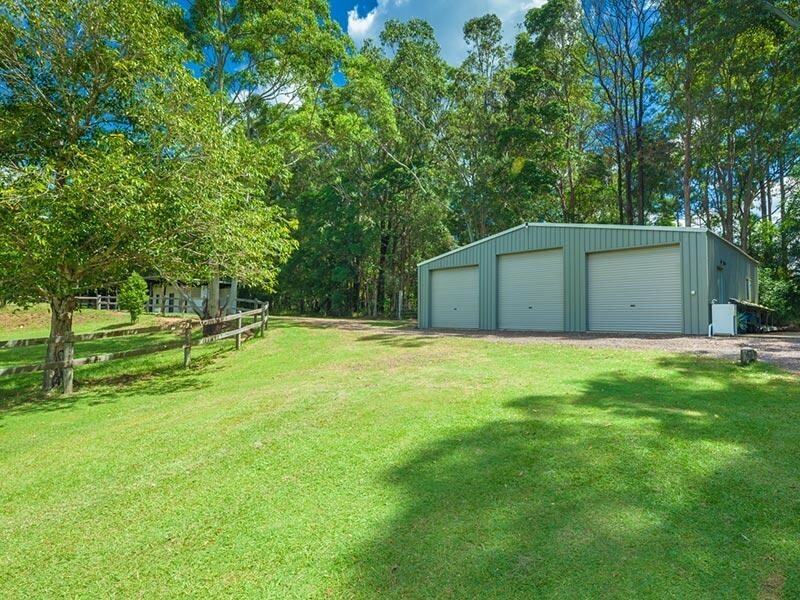 The 2nd entry point accesses the 12m x 9m shed with 3 phase power, stables and feed rooms. A handy concrete hardstand beside the shed is ideal for parking a caravan or boat. 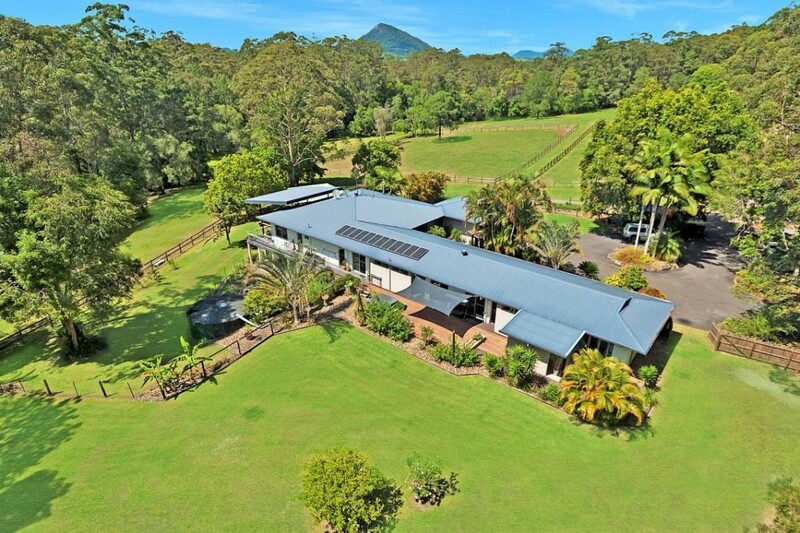 Representing outstanding value at the asking price, we can only begin to imagine the replacement coast of this entire package. 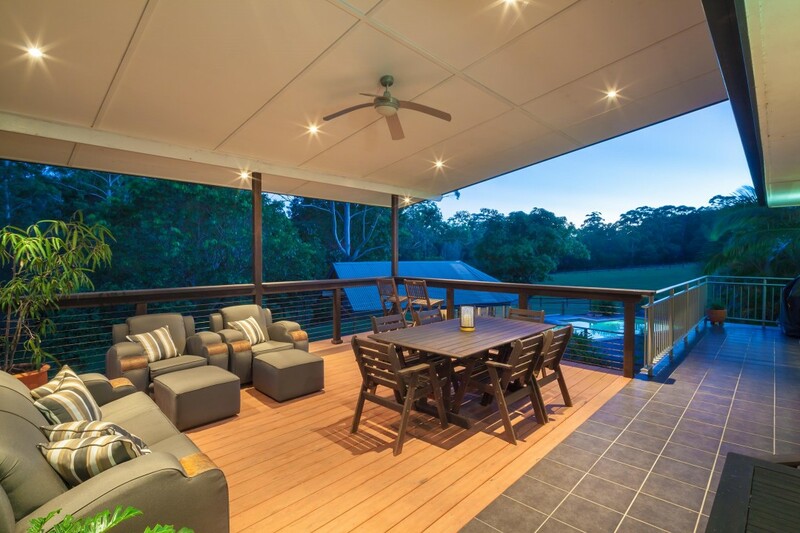 The location is about as good as it gets for Hinterland acreages, being so close to pristine Lake Macdonald for fishing, canoeing and bird watching and approx. 15 minutes to Noosa. 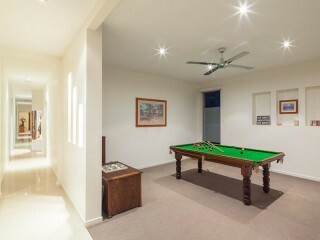 The owners have commissioned a videographer for your benefit and pre-inspection viewing. 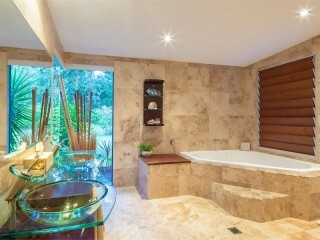 If you are dreaming of ‘Selati Park’ your time is now.